What makes for proper Knee Defender etiquette anyway? Flying it seems continues to become a pursuit full of peril, case in point an incident on a United Airlines flight 1462 which saw two 48 year old passengers (sitting ironically in the economy plus section) come to a head after one of them took to using a plastic brace, the knee defender device which preempts the person sitting in front of another from reclining their seat. Things came to a head when the passenger sitting up ahead asked the person sitting behind to remove said knee device, in turn refusing, leading to the individual in front throwing a cup of water at the passenger with the knee defender. At the time the passenger sitting behind a woman who had wanted to recline her seat had been using his laptop and had taken to using the device presumably in an attempt to provide themselves with a modicum of space from which to use their laptop. Asked by a flight attendant to put the knee defender away the passenger declined which is when the female passenger, presumably stymied by the fact that her ability to endure the flight was now compromised came to throw water at the man. From there the plane was diverted to Chicago were both passengers were forcibly removed. 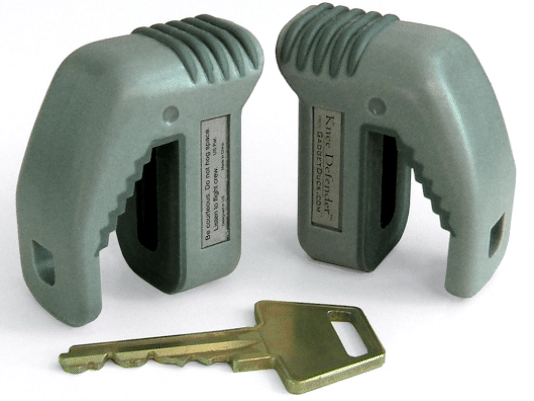 Of note, the Knee Defender, which retails for $21.95, a plastic brace that hooks to tray tables is banned by most U.S. airlines. United Airlines said it prohibits use of the device, like all major U.S. airlines. 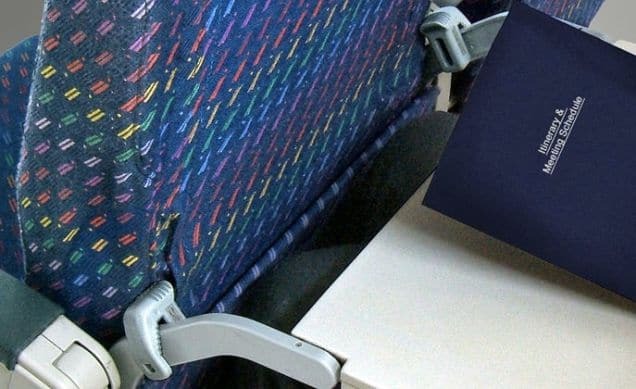 Spirit Airlines and Allegiant Air have gone one further by taking the reclining mechanisms out of their seats, leaving them permanently upright. Nevertheless the incident has since drawn a wide array of comments on the web, some of which I have reprinted below. See what you think? The space where a seat reclines belongs to the passenger who wants to relax on a flight. That’s why the seats recline. This wasn’t much of a problem until airlines jammed the seats 30 inches apart. How about everyone stops trying to make air travel their own individually optimized experience? Use the aircraft as it was designed, follow the established procedures; everybody wins. If the person in front of you reclines and you can’t handle it press the call button and ask the flight attendant if they will reseat you. And although it was childish of this woman to throw the cup of water the other passenger was the one at fault – it’s against the law to not comply with crew member instructions. I NEVER use the recline button unless its an international overnight flight and everyone is sleeping… For what its worth I dont use the knee defender, because my knees limit the seat in front of me from reclining anyway. Seems the real argument is with the airlines who continue to shrink the size of seats and the space around them as they up the price of the ticket, now charge for everything they can possibly get away with and really don’t give a damn how uncomfortable anyone is. Why wasn’t the United Flight passenger with the knee device arrested? He reportedly refused to follow crewmember’s instruction & that device is not allowed on United.